Anytime you visit the Old City you will not want to miss the deals and savings opportunities that you can find at the St. Augustine Outlet Stores. We have two enormous, St. Augustine FL Outlet Malls located just minutes from one another: Prime Outlet St. Augustine and St. Augustine Premium Outlets. Both are fantastic places to shop for discounts and savings on brand name clothing, accessories, kitchen items, home items, travel and luggage, luxury gifts and so much more. 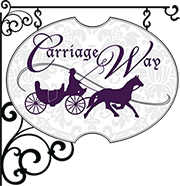 Both are easy travel from Carriage Way, St. Augustine Bed & Breakfast, the best inn out of all of the St. Augustine Historic District Hotels. 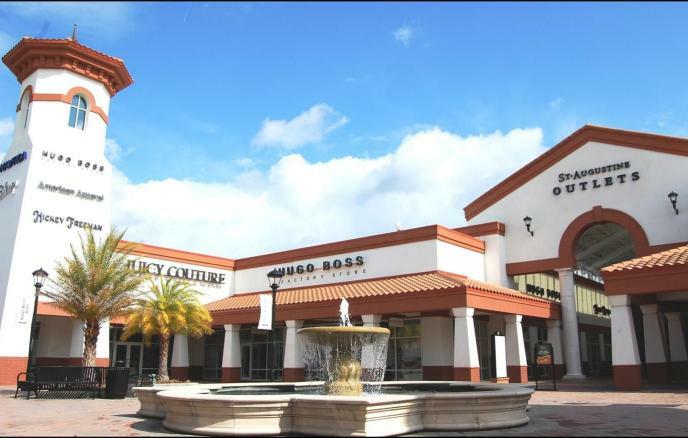 This St. Augustine Outlet Mall and stores are located at 2700 State Road 16. Here you will find 85 name brand St. Augustine Outlet Stores. The list of stores changes periodically if a company decides to move its outlet, however you will find stores such as Ann Taylor Factory Store, Banana Republic, Brooks Brothers, Calvin Klein, Coach, Converse, Gat Outlet, J.Crew, Movado, Nike, Polo Ralph Lauren, Reebok, Tommy Bahama, Tommy Hilfiger and loads more. The St. Augustine Premium Outlets host a Columbus Day Sale that is huge each year, as well as a ‘Pink Event' that benefits the Susan G. Komen organization that assists women battling breast cancer. On Tuesdays, those 50+ can enjoy the 50 plus Shopper Perks which are an added 10$ of savings on Tuesdays just by showing your photo I.D. with proof of age to the cashier at participating St. Augustine Outlet Stores. Ladies, if you are taking advantage of our Girls Weekend Getaways specials and you love shopping, you and your group will definitely want to check out the St. Augustine Outlet Stores near the Carriage Way, St. Augustine Bed & Breakfast. The St. Augustine Outlets at the Prime Outlets St. Augustine Outlet Mall are fantastic. Located right near the Premium Outlets St. Augustine, these St. Augustine Outlet Stores feature luxury goods from some of the finest designer names such as Juicy Couture, Michael Kors, Saks Fifth Avenue OFF 5th, St. John, Lucky Brand Jeans and the one and only Gucci Outlet in the southeastern United States. There is also a really nice Direct Tools Factory located at Prime Outlets.